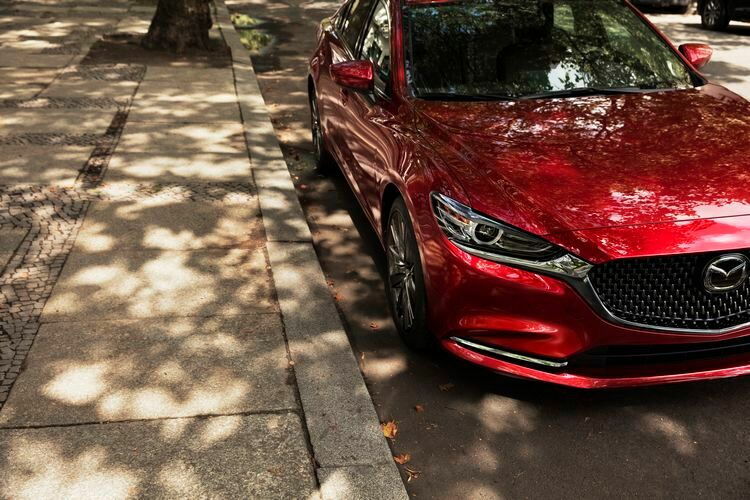 Six years into its current model cycle, the Mazda Mazda6 looks as fresh as ever with athletic lines, excellent detailing, and, since its 2016 refresh, an interior to match. 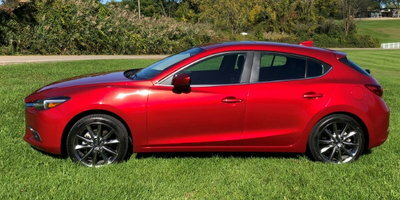 Earlier this week, Mazda announced pricing and equipment changes that will go into effect when the 2018 model hits dealer showrooms in April. Here's a rundown. 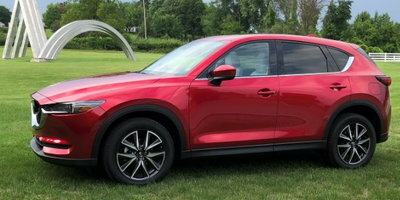 In addition to a standard six-speed manual transmission and optional six-speed automatic, the base model also comes equipped with push-button start, dual-zone automatic climate control, power windows, a tilt-and-telescopic steering column, steering-wheel-mounted audio and cruise controls, Bluetooth, rear view camera, eight-inch touchscreen, 17-inch alloy wheels, an electronic parking brake as well as a blind spot monitor and rear cross-traffic alert. 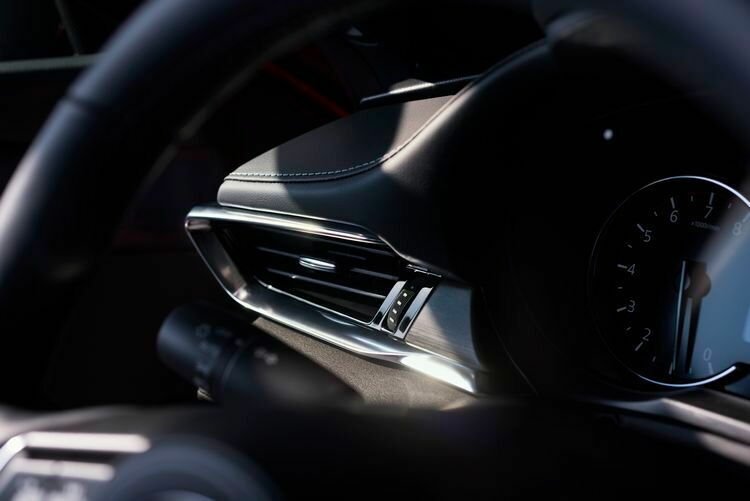 Sport i-Activesense Package - automatic emergency braking, lane departure warning, adaptive cruise control, lane keep assist, automatic headlights with high beam control, and rain-sensing wipers. 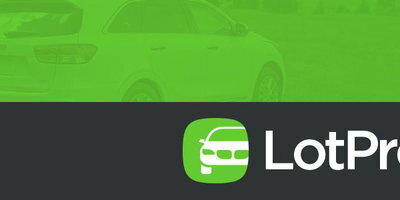 New for 2018 are LED headlights and taillights, and low speed automatic emergency braking. 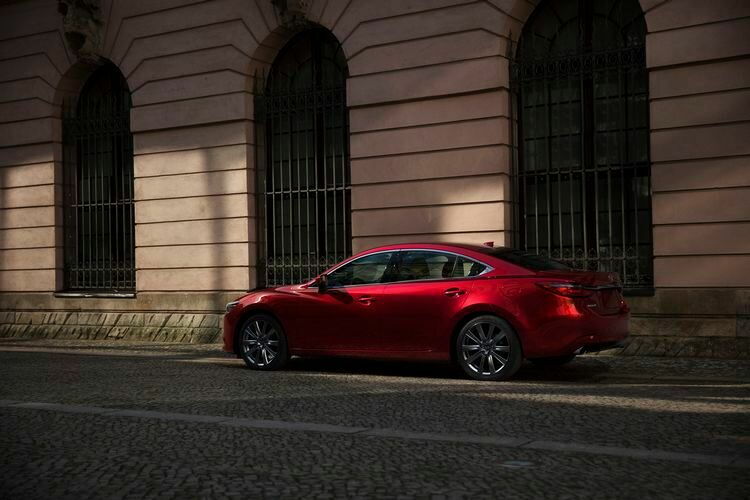 Stepping up to the Touring trim adds a standard six-speed automatic, 19-inch alloy wheels, leatherette seats, advanced keyless entry, a 6-way power driver's seat, heated front seats, a moonroof, and rear HVAC vents. 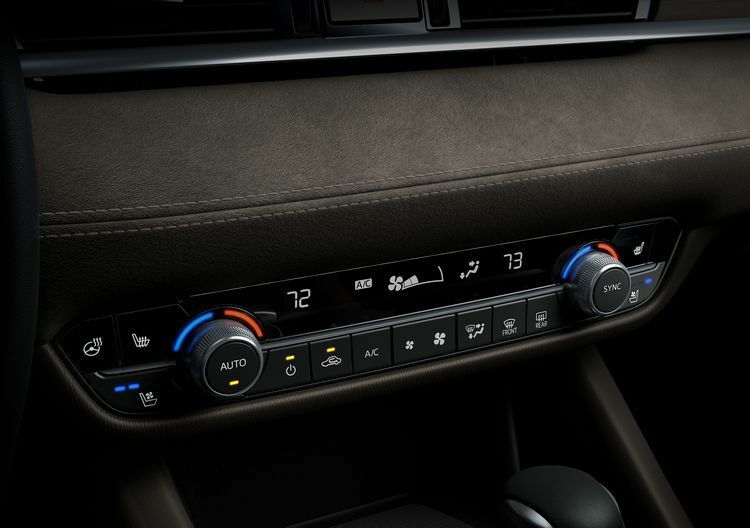 Choosing the Grand Touring trim adds a Bose sound system, satellite radio, navigation, auto-dimming inside and driver-side outside mirrors, heated outside mirrors, and steering wheel paddle shifters. 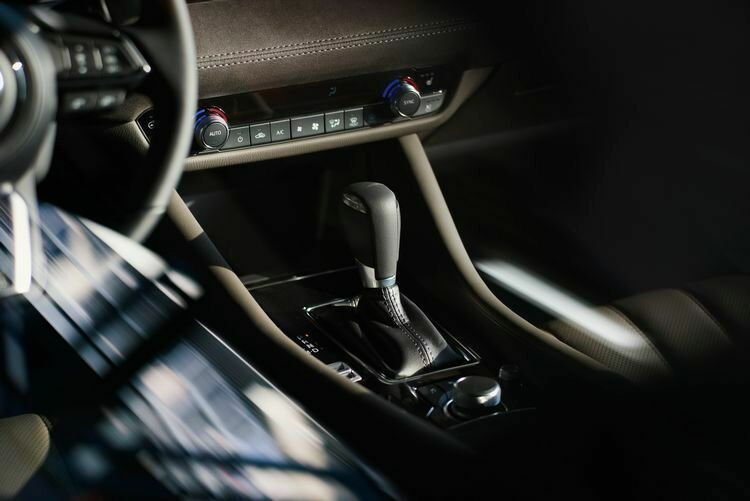 New for 2018 is revised suspension tuning to accommodate the new 2.5-liter turbocharged four-cylinder engine that generates 250 horsepower and 310 lb-ft of torque. 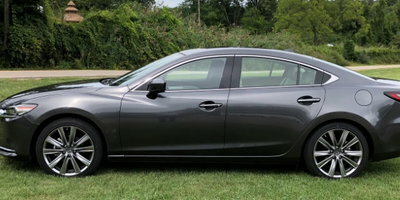 The new Grand Touring Reserve model adds Parchment leather seats, windshield head-up display, 8-way power driver seat, 6-way power passenger seat, adaptive front lighting, silver alloy wheels, rear lip spoiler windshield wiper de-icer, heated rear seats and steering wheel, and ventilated front seats. 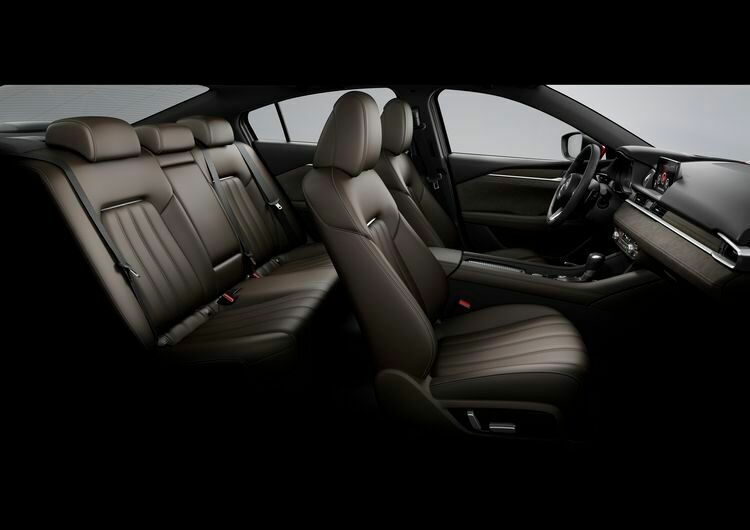 Also new is the Signature trim which features either Parchment or Deep Chestnut Nappa leather seats, Japanese Sen wood interior trim, gilded UltraSuede NU, 360 degree around view monitor, front and rear parking sensors, seven-inch TFT reconfigurable gauge display, frameless rearview mirror, and a gunmetal-finished grille.